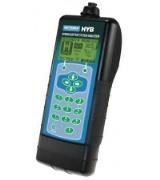 The Midtronics HYB-1000 Hybrid Battery Tester and Electrical System Analyzer helps you get into the Hybrid service business by providing technicians a safe, one-person test. The HYB-1000 communicates to the vehicle OBD system using a wireless convergence module, which allows it to read the battery cell/block sensors while under the stress of accelerating and decelerating. The 7050LP low pressure digital pressure indicator, part of the versatile Series 7250 family, is specifically designed to meet the demanding performance requirements of calibrating low pressure sensors, transducers, mechanical gauges, portable calibrators and their plug-in modules. To accommodate bidirectional devices, the 7050LP can be supplied to operate in both positive and negative gauge modes. The 7050LP offers unmatched performance and measurement precision. Utilizing multiple ranges in a single instrument, the 7050LP combines precision, stability, and affordability. The 7050LP has a unique quartz sensor, the most accurate pressure sensing technology available in a digital pressure calibrator. Each quartz sensor is manufactured and tested to provide the ultimate performance required by a Fluke Calibration pressure calibrator, ensuring that every customer receives the highest quality, precision and stability in their instrument. 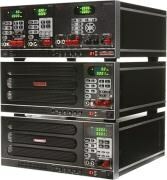 The 7050LP is available in three different range configurations, each a dual range instrument. Select either the 10 inH20 and 30 inH2O combination, or the 20 inH2O and 60 inH2O or the 35 inH2O and 100 inH2O range combination. Each combination provides a precision to 0.005 % of reading from 10 to 100 % of the higher range. For pressures from 0 to 10 %, the precision is a fixed error equal to 0.005 % of 10 % FS. This unmatched precision is achieved by the unique quartz pressure sensing technology that puts the pressure in direct contact with the quartz element, eliminating mechanical linkages and metal diaphragms. Since this is a differential sensor, the reference side of the 7050LP can be connected to the reference side (low side) of the device under test. Therefore, disturbances due to room drafts, HVAC systems and opening/closing doors, which can have a detrimental effect on the calibration process, are eliminated. The 7050LP provides both unequalled precision and excellent long term stability due to the inherent properties of quartz. For example, the total uncertainty for a 10/30 inH2O range combination over a one year calibration interval is 0.009 % of reading or 0.00015 inH2O (whichever is greater). The 7050LP is easy to use and can be automated through the remote interface. The 7050LP is provided with both an RS-232 and IEEE-488 interface, and syntax for all Series 7250s follows SCPI protocol for easy programming. COMPASS® for Pressure, an off-the-shelf software package, is available. A LabVIEW® driver is available as a free download. As a standard feature, software written for the previous generation Series 7215, 7010 and 6000 instruments is fully supported by the 7050LP. The 7050LP can be set to 510 emulation mode to use software originally written for the DPI 510. Firmware updates can be performed over the RS-232 interface (updates can be downloaded from the web site). A MET/CAL® software driver is available. 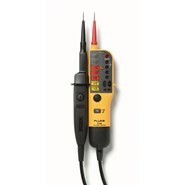 The 7050LP is versatile enough to handle almost any type of low pressure calibration. Dual range: The 7050LP has two ranges in one instrument, 10 inH2O and 30 inH2O, or specify the 20 inH2O and 60 inH2O or the 35 inH2O and 100 inH2O range combination. The 7050LP will automatically change ranges to ensure the highest performance at the requested pressure. 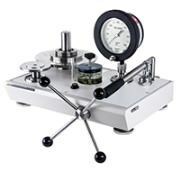 Pressure units/scales: The 7050LP includes more than 12 standard units of measure, including inH2O at 4 °C (39 °F), 20 °C (68 °F), and 16°C (61 °F), in Hg at 0 °C (32 °F) and 16 °C (61 °F), kPa, bar, psi, kg/cm3, mm Hg at 0 °C (32 °F), cm Hg at 0 °C (32 °F), and cm H2O at 4°C (39 °F), and two user-defined units. Head pressure: The 7050LP automatically corrects for head pressure differences. Accredited Calibration Report: The 7050LP comes standard with an accredited calibration report. The 3091LD is designed to provide precisely controlled, non-linear loads for testing AC power generation equipment such as UPS’s and AC sources. In addition, any active or passive current carrying devices such as switches, circuit breakers, fuses, connectors and power semiconductors can be tested. Traditionally, many of these products are tested using resistive load banks. This approach does not simulate real-world conditions such as switching DC/AC converters found in many AC powered products. This type of conventional testing does not fully exercise the equipment under test (EUT) under worst case operating conditions. High peak currents and low power factor loads can significantly impact the operating characteristics of a UPS or AC power product. The 3091LD AC Load can simulate high crest factor and variable power factor load conditions. This provides an effective method of testing AC products against real-world conditions and can significantly increase product reliability. Unless properly exercised, product defects may go undetected until a unit is used at a customer site, resulting in costly field returns. Traditional dc Electronic Load Solutions are bulky and large in size. Most are offered with standard voltage, current and power ratings. In the ATE world, rack space is a highly coveted asset and application demands are constantly diversifying with new technology development. AMREL’s PLA Series of “Air-cooled” dc Electronic eLoads offers the industry’s smallest footprint, the highest power density and current rating, along with the broadest selection of high voltage models on the market. PLA models are capable of being custom-tailored to meet your application requirements. The Sorensen DLM 3kW and 4kW Series programmable DC power supplies are designed to provide highly stable, continuously variable output voltage and current for a broad range of applications in a compact 2U ( 3½” high) chassis. Displays and indicators show programmed set points and operational control status. The programmed voltage, current and overvoltage set points are displayed with two large 3½ digit LED displays. Operational Status LEDs indicate power on, shutdown, over temperature, overvoltage, constant current and voltage mode status. Control Status LEDs indicate front panel lockout, remote control and standby status. IEEE- 488.2 control LEDs indicate error, service request and remote address status. The 3 kW Models will accept 200*/230 VAC single phase and 200*/208 VAC three phase input power. 480 VAC three phase input power.